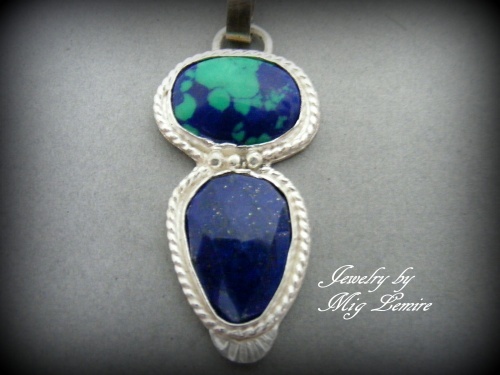 This beautiful lapis lazuli and azurite gemstone pendant is one of a kind. This piece pops with beauty and dramatic colors. Azurite is malachite and lapis and this matches the bottom lapis gemstone. Soldered with sterling silver and dded twisted silver around the stone to make them really show up. Comes with sterling silver chain.